In the heart of Kill Devil Hills, your family can reminisce forever and ever! 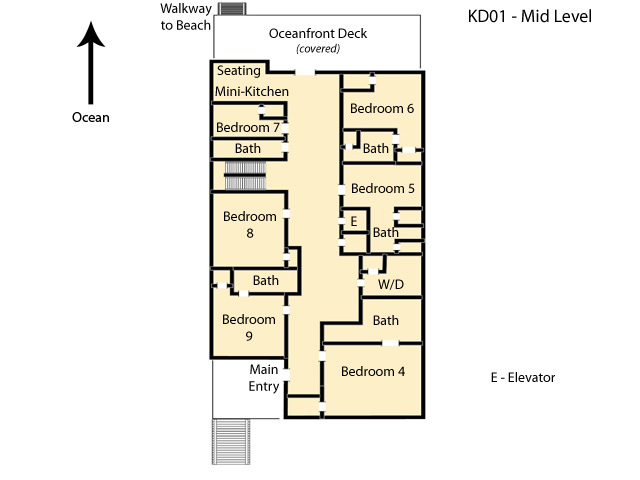 Upper level handicap accessible bedroom, elevator and mid-level ramp to oceanfront dune deck. This house has 7,000 square feet of exquisite oceanfront luxury! Extra large kitchen. Dining accommodation. There is nothing finer than this! Reunite your family on the Outer Banks. 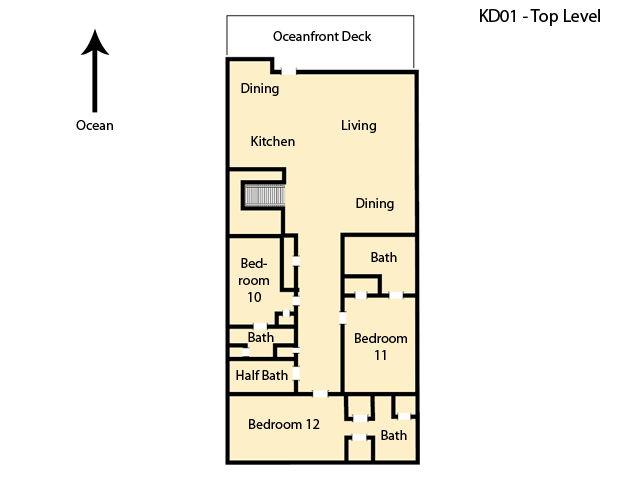 12 bedroom Oceanfront in Kill Devil Hills. 28' x 16' private pool with baby pool, large hot tub, 2 jetted tubs and elevator. TVs, DVD players, WiFi, , gas fireplace, rec. room w/pool table, Foosball, den, 2 wet bars w/ice-maker & refrigerator, 3 full-sized refrigerators, 2 washers & dryers, 2 dishwashers, extra large range, double ovens, high chair, pack-n-play, 2 outside showers, 2 park grills. Parking for 8 cars. Non-Smoking. No Pets. Unfortunately we were evacuated due to Hurricane Florence but we couldnt have loved the place more, it was better than we had hoped. The rooms were larger than the pictures showed which weve never experienced before and the home was so well equipped. It was clean, spacious and just perfect for our large group. We cant wait to visit again and stay for an entire week! Great house for a family reunion! Well equipped, clean, easy access to beach and comfortable. Living area furniture slightly worn but comfortable. This family of 24 made great memories! Very nice stay. Everything inside of the house was clean and tidy. Tons of kitchen gadgets, which is different from other rentals in the past. We came down the day after a hurricane hit and there were some issues, two inside and several outside. Maintenance came out very quickly and took care of the inside issues. It took us two days to get our pool cleaned half way, and another two days for it to be completely cleaned. We never had pool heat. The pool maintenance man said we were out of propane and he would bring it the next day and then never came back. Other than those issues, which were totally understandable, we would definitely recommend this rental. It has tons of room, easy access to beach, and village realty was great! Greenwaves III has been perfect for our large, extended, 4 generation, family vacation. 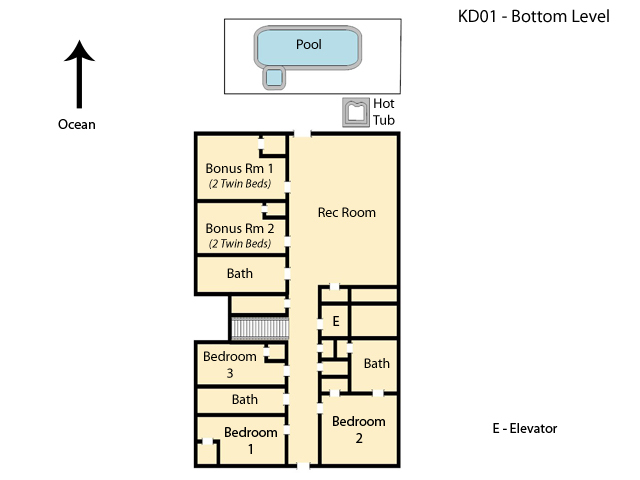 It accommodates couples, singles, teens, and families with small children. We have all had a wonderful time and are looking forward to next year.